Using a /31 subnetmask for a point-to-point link. Wrong or smart move? If you have a Mikrotik router that has been assigned a public IP, making sure that your router is protected by blocking port access to it from the internet is non-negotiable. You must ensure that both UDP/TCP ports that can be used to infiltrate your router and wreak havoc on your network are blocked, especially to users on the internet who may want to attack your network. First of all, you must understand the following attributes that will be used in the firewall rules. Destination address = the public IP assigned to the Mikrotik router. If there are more than one public IP on the router, an address-list must be used to capture all public addresses on the router. Chain = since the access is aimed at the router and not the devices behind the router, the chain is input. Protocol = tcp or udp, depending on the port number. The following firewall filter rules will block http, https, ssh, ftp, telnet, winbox, and snmp ports on the router. This will ensure that anyone trying to use any of these applications to access the router from the internet will be denied access. Kindly note that the IP address used in this demonstration does not belong to timigate and was only used for demonstration purposes. Attempts to attack this IP, is highly discouraged. Configuring destination NAT on Mikrotik to ensure unauthorized access from the internet is prohibited. Video: How to stop bruteforce attacks on Mikrotik routers by changing service port numbers. How to enable IPv6 features and set up an IPv6 network on a Mikrotik router. 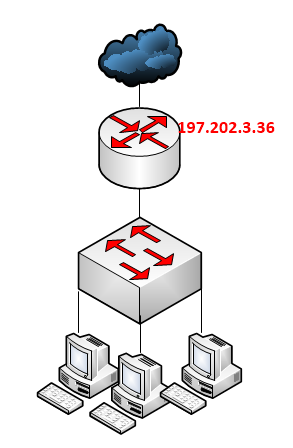 Best approach to configuring Point to Multi-point on Mikrotik. Best way to configure Mikrotik point to point. How to configure Site-to-site IPsec VPN using the Cisco Packet Tracer. John Ojo on Happy New Year to all Timigate blog visitors!!! Copyright © 2019 Timigate. All rights reserved.